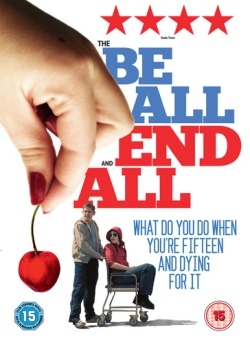 The Be All and End All (2009) is an obscure but highly rated British comedy due for release in April. A young man called Robbie is desperate to lose his virginity but unfortunately he is in hospital suffering from a life threatening heart condition. Cue lots of mishaps, hijinks and tear-jerking moments liberally splattered with sexual references and saline drip gags. Write your reply in the comment box below or on our Facebook page. Competition closes on April 10th and the three best entries will receive a copy through the post soon after.